It's light, strong, and looks good - what more could you ask for? 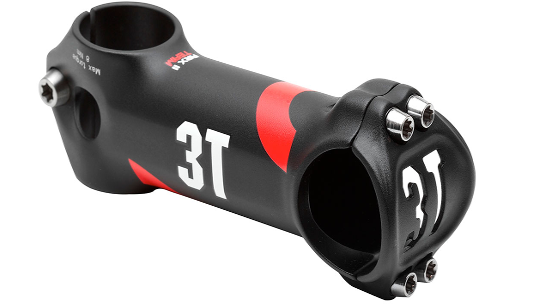 The 3T ARX Team stem is the stem of choice for the Team Garmin-Cervélo professional cycling team as well as the build we do in store. A forged aluminium construction and titanium bolts balance the essential qualities of minimal weight (120g for the 120mm length) but maximal strength and durability. 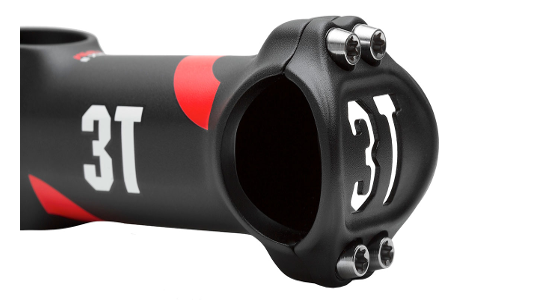 The stack of the steerer clamp is 40mm and it will fit 31.8mm handlebars.